Tony D’Angelo, vice president of federal business at Proofpoint (Nasdaq: PFPT), has said cloud migration and other information technology modernization initiatives provide agencies an opportunity to redirect their cybersecurity focus toward efforts aimed at protecting users from cyber threats. 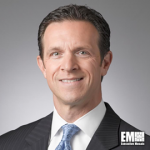 Agencies allocate only 8 percent of their cybersecurity budgets on email security despite reports that majority of cyber attacks now zero in on people, D’Angelo wrote. He mentioned the implementation of the Domain-based Message Authentication, Reporting and Conformance standard as part of the Binding Operational Directive 18-01 issued by the Department of Homeland Security in 2017. “DMARC is a great first step toward email authentication,” D’Angelo noted. “In addition to monitoring what comes into or goes out of an agency, DMARC can stop activity happening beyond government walls — activity that agencies might not even be aware of,” he added.